Several factors go into choosing which automation tool is right for the application that needs to be tested. For example, will support be needed? Is there a developer on staff with knowledge of the automated testing tool that is being considered? What hardware does the application run on? How much does it cost? Do users access the software via a web browser? These questions, as well as several others, will need to be answered to determine which automation tool will best suit the needs to repetitively test an application’s changes, releases, and upgrades. 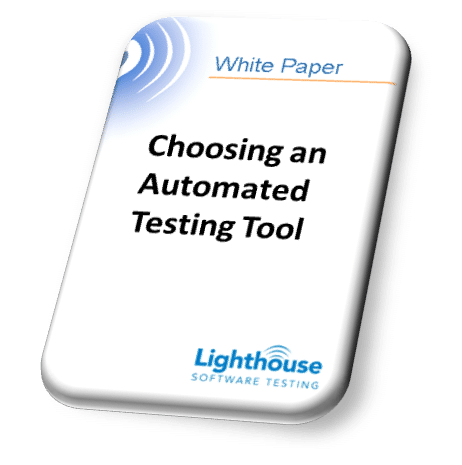 Fill out the form to get your FREE copy of our White Paper: Choosing an Automated Testing Tool.